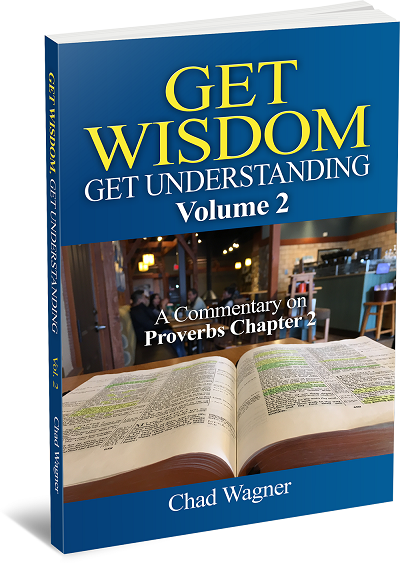 Get Wisdom, Get Understanding is Pastor Wagner's in-depth commentary on Proverbs chapter 1 in the King James Bible. Also, each chapter can be used as a daily devotional for a Christian who desires to learn the understanding, knowledge, and wisdom of God. In this book you will learn the purpose for the Proverbs, the method of interpreting the Proverbs, and a verse by verse comprehensive exposition of Proverbs chapter 1. This book is the fruit of Pastor Wagner's daily reading of the book of Proverbs over the last 12 years. It is his hope that it both encourages and challenges you in your Christian walk. It is available in both paperback and Kindle editions on Amazon. "The Book of Proverbs is God's wisdom speaking. Pastor Wagner's commentary on Proverbs 1 is God's wisdom justified of one of her children. With careful definitions of words to elucidate the Holy Spirit's message and comparative analysis from other scriptures, Pastor Wagner's perceptive insights are instructive, inspiring and convicting." "I found this to be an excellent introduction to the study of Proverbs in general and Proverbs 1 in particular. It can be used as a commentary, but also most profitably as a verse by verse daily meditation. Pastor Wagner gives you plenty of “meat” while commenting on each verse and comparing each verse with other scriptures that support its teaching. He also often brings forth examples from other parts of the Bible that illustrate the lesson found in a verse. The understanding of a passage begins with its individual words and Pastor Wagner defines many of the words found in the text so the sense of the text is made plain and the verses are clearly explained and easily understood. When you have finished his commentary on Proverbs 1, you will have a greater understanding of this most important passage that introduces the importance of following Wisdom’s teaching and the danger and destruction that accompany ignoring Wisdom’s way. I look forward to reading and learning from his continued study in the book of Proverbs." "Pastor Wagner has done a marvelous job of explaining the purpose of the Proverbs, the method of understanding the Proverbs, the requirements for understanding the Proverbs as well as the insight into the meaning of those Proverbs under consideration. This is a first-class presentation and one that belongs in every pastor’s library." Get Wisdom, Get Understanding Vol. 2 is an in-depth commentary on Proverbs chapter 2 in the King James Bible and is the second volume in Pastor Wagner's commentary on the book of Proverbs. In addition to being a commentary, each chapter can be used as a daily devotional for a Christian who desires to learn the understanding, knowledge, and wisdom of God. In this book you will learn God's method for getting understanding, knowledge, and wisdom, how to avoid evil men and scandalous women, how to lead a blessed life which is well pleasing to God, and a verse by verse comprehensive exposition of Proverbs chapter 2. This book is the fruit of Pastor Wagner's daily reading of the book of Proverbs over the last 12 years. It is his hope that it both encourages and challenges you in your Christian walk. Lord willing, it will soon be available in both paperback and Kindle editions on Amazon. "Pastor Chad Wagner is a diligent Bible student, especially of the book of Proverbs. 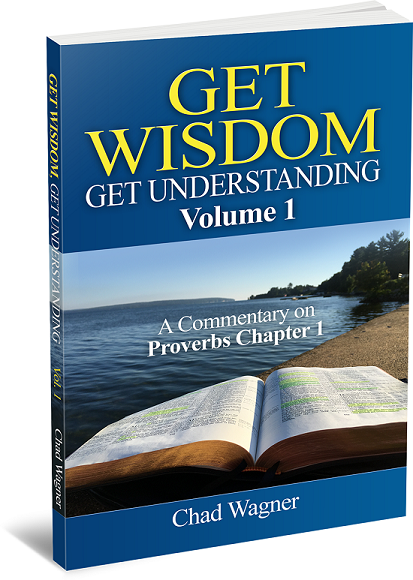 His continual reading and in-depth study of Proverbs are evident in his book Get Wisdom Get Understanding. From his book one sees that Pastor Wagner is a man of God who has heeded the call of the apostle Paul in 1Timothy 4:15: "Meditate upon these things; give thyself wholly unto them, that they profiting may appear to all" (1Timothy 4:15)." "In this second volume of "Get Wisdom, Get Understanding," Pastor Wagner continues to lay down a solid, straight roadway for the believer's journey. It is a sound, practical exposition that honors the Bible's own internal rules for understanding its message. The Author of Holy Scripture knows best how it should be studied, and Pastor Wagner shows that adherence to those principles yields excellent spiritual fruit." "You could buy a big book by some famous guy with big words and long chapters and not get much out of it, or you could buy this little book by Pastor Wagner and in a week or less change your life by applying the principles within. Pastor Wagner concisely breaks down the second chapter of Proverbs using only word definitions and supporting scriptures rather than man's opinion. The chapters are short enough to use in family Bible times or would make a nice gift for a young adult or graduation present."